The Radius Invitational 2 in Fairfield, Connecticut! 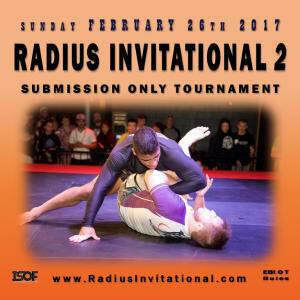 The Radius Invitational returns to Fairfield, CT on Sunday February 26th for another afternoon of action packed submission only jiu jitsu. Radius Sub Only 2 will feature a winner takes all tournament with some of the best 155 lb grapplers competing for the $1,000 prize. We are putting together an incredible field of competitors consisting of many familiar faces from the regional sub only scene as well as some great competitors looking to become a familiar face. The event will also feature three female special matches that always bring the excitement. We are in the final stages of locking in the competitors so be sure to follow us on social media and check the website for all of the latest news. Tickets are on sale now through the Fairfield Theatre Company box office. Get yours now to watch the action live on February 26th at Noon. 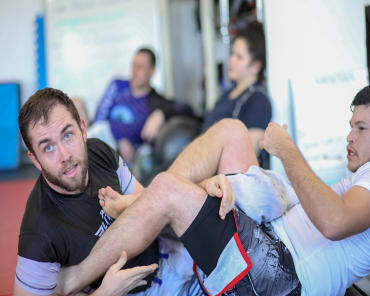 This event is brought to you by Radius Martial Arts Academy and 10th Planet Fairfield!